I was very excited when A.L. 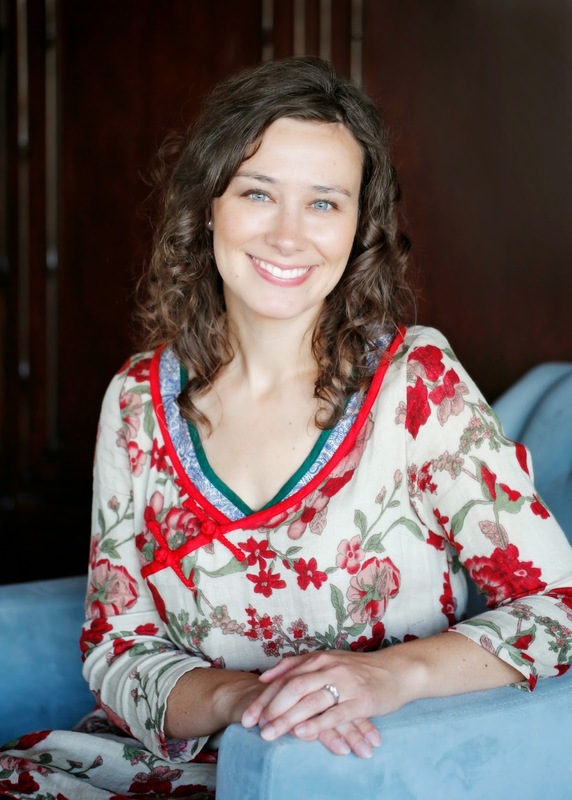 Sonnichsen, author of the middle grade verse novel Red Butterfly, agreed to do an interview for National Poetry Month. Verse novels are my favorite thing to read, and Poetry Month is a perfect time to shine a little extra light on them (and their authors). Raised in Hong Kong, A.L. Sonnichsen grew up attending British school and riding double-decker buses. As an adult, she spent eight years in Mainland China where she learned that not all baozi are created equal. She also learned some Mandarin, which doesn't do her much good in the small Eastern Washington town where she now lives with her rather large family. Rebecca: First of all, I just want to say congratulations on your debut novel! I loved every moment of reading it and would recommend it to anyone who enjoys middle grade fiction or verse novels. 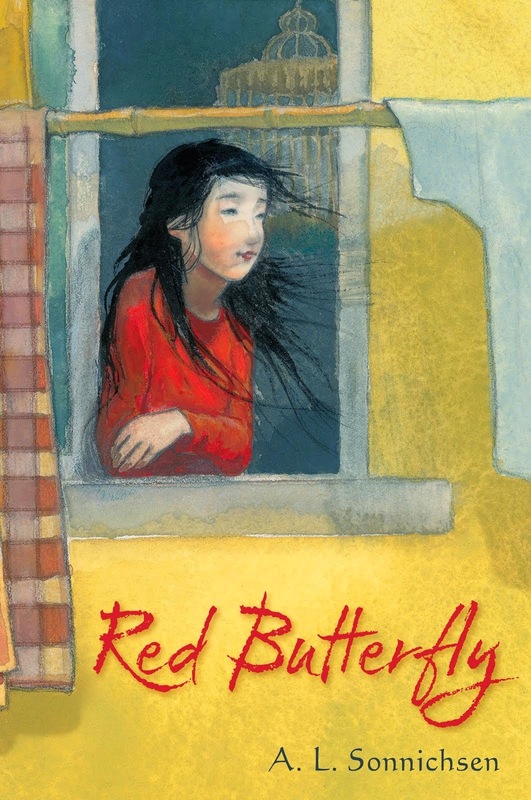 I don't get teary when reading very often, but Red Butterfly really got me "in the feels," as the kids say, especially at the end. What was your inspiration for Red Butterfly? A.L. : I was inspired by my own experience volunteering at an orphanage in China when we lived there, bringing my daughter home from that orphanage, and then going through many years of waiting before we could adopt her. But there were also concurrent, as well as more recent, stories from friends’ lives that inspired me. Everything came together in a big melting pot of inspiration. 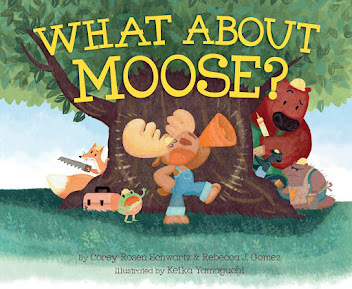 Rebecca: Why did you choose to write this story in verse? Did it just sorta happen that way, or was it planned? A.L. : No, not planned! I originally wrote Red Butterfly in prose when it was a YA novel. Then when I switched it to MG, a lot had to change. A friend had recently introduced me to the verse novel style and I loved it, so I decided to rewrite Red Butterfly that way. I knew the subject of abandonment was going to be heavy for kids, so I wanted a lighter touch. Verse offered that lighter touch. Rebecca: What was your biggest challenge when writing this story? Or did it all just come together like magic? A.L. : There was very little magic involved. The first draft (in prose) was grueling, so I would say that was the biggest challenge. After that, it got a bit easier. Writing the second draft in verse was not hard, because Kara’s voice seemed to flow naturally that way. After I signed with my agent, Kate Testerman, she wanted me to expand on the ending quite a bit. I wrote a whole extra section at that point, adding a third to the book’s original length. 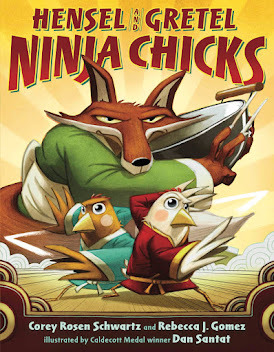 Rebecca: Share a little bit about this story's journey to publication. A.L. : I had an agent when I wrote Red Butterfly, but she didn’t connect to the book, so I had to find a new agent to represent me. 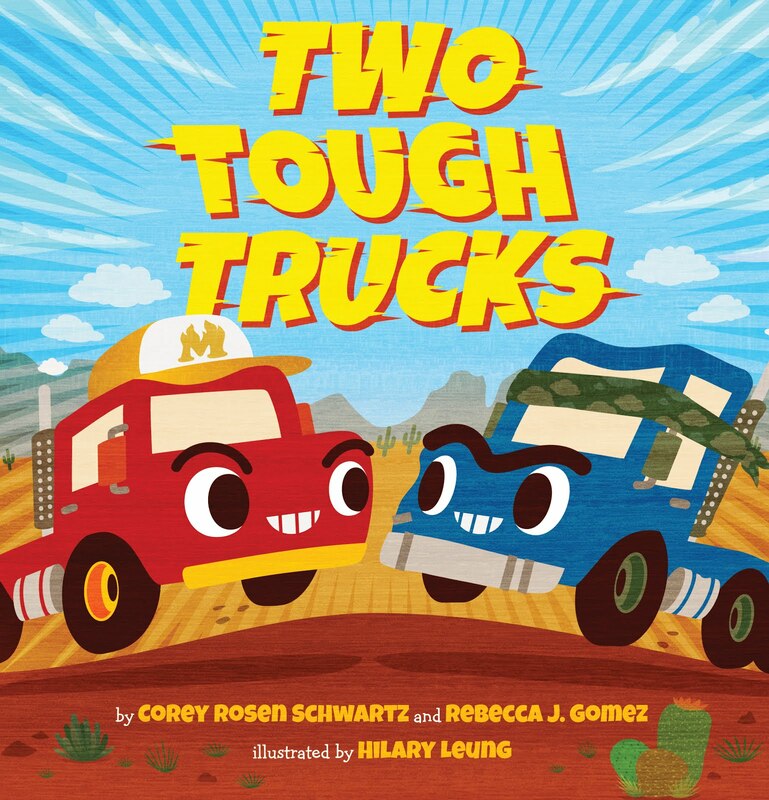 Thankfully Kate Testerman of kt literary did connect to Red Butterfly and was able to find the perfect home for it at Simon & Schuster Books for Young Readers. Working with my editor, Christian Trimmer, and his team has been a dream. They brought on artist Amy June Bates to do several illustrations and the cover art. She ended up doing LOTS of illustrations for the book, and I feel like they add so much to the final product. I am indebted to all the people who helped Red Butterfly along on her journey! Rebecca: Do you have a favorite verse novel? A favorite poet? A.L. : I think my favorite verse novel is probably the first verse novel I ever read—Out of the Dust by Karen Hesse. I’ve loved a lot of verse novels since then, but there’s something about the first time you fall in love. As for poetry, I’m going with a classic! I will always love Robert Lewis Stevenson’s A Child’s Garden of Verses. When I read it with my kids, many of the poems still make me teary eyed. Rebecca: Out of the Dust was my first verse novel too! It is also one of my very favorites! Are there any other books, verse novels or otherwise, in your publishing future? A.L. : I don’t have anything on contract, but I’m working on another verse novel set in China, this one a historical novel, about a boy who runs away to join a red boat Cantonese opera troupe. I’m also working on a novel in prose, about a girl who is on the brink of losing her mother and travels back in time with her best friend in an attempt to save her. Rebecca: Both of those ideas sound wonderful, and so different from each other. I will be happy to read either one of those books one day! Anything else you'd like to add? Tips, writing advice, encouragement for aspiring verse novelists? A.L. : I am definitely still learning a lot about publishing and how I operate as a writer, so I’m not the best person to hand out advice. But I will say, dreaming big is great, but doing the job of actually writing is the most important hurdle. So my advice is: sit down and write. Not very glamorous, I know! Thank you so much for having me on your blog, Becky! Happy National Poetry Month, everyone! To find out more about A.L. Sonnichsen, visit her blog, The Green Bathtub. You can also follow her on twitter. This is a wonderful, touching book. You do not have to be a child to appreciate it. Red butterfly should be on everyone's bookshelf!